She has good fashion sense. She has never cared about her appearance. 그녀는 외모에 전혀 신경 쓰지 않는다 . Is she mixed? She kinda have western looks. 그녀는 혼혈인가요? 얼굴이 좀 서양사람 같네요. Her appearance changed so much that it knocked everybody's eyes out. 그녀의 외모는 너무 많이 변해서 모두가 깜짝 놀랬다. He is three inches taller(shorter)than I. He is far and away the tallest girl in the class. 그는 단연코 반에서 키가 제일 큰 소녀이다. He has his father’s looks, his mother’s attitude. 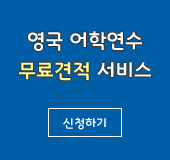 그는 아버지의 외모에 어머니의 태도를 가졌습니다. He is a man of decent appearance. 그는 외모가 단정한 사람이다 . He is tall and lanky. They fart with me because of my appearance. 그들은 내 외모 때문에 놀린다. I don’t like the look of him. 그의 외모가 마음에 안 든다. His appearance was solemn as an owl. I glammed up to be introduced to a new friend. 나는 새로운 친구를 소개받으려고 외모를 치장했다. I have dimples on my cheeks. 나는 양 쪽 볼에 보조개가 있다. A man's character cannot be measured by his appearance.